Made with authentic details and scatter wound winding. Single coil is made of Gray and Black vulcanized fiber and staggered alnico V magnets. Additionally glued and varnished. Glue eliminates the possibility of detaching the flatwork from the magnets, and the varnish adds additional structural strength and prevents electrical shorting wire on the magnets. 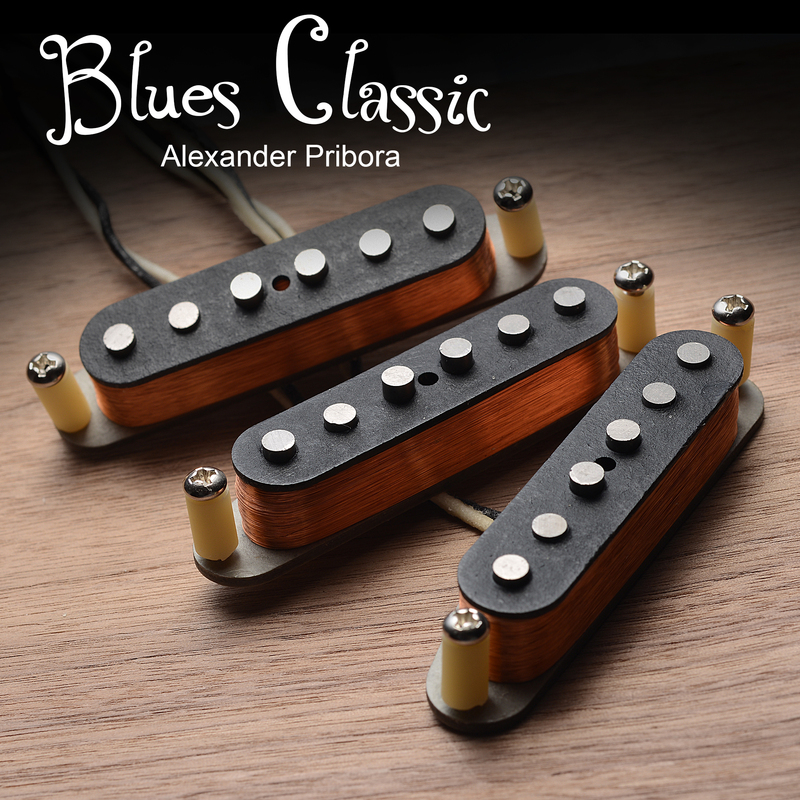 The video shows the test Alexander Pribora Blues Classic Pickups. 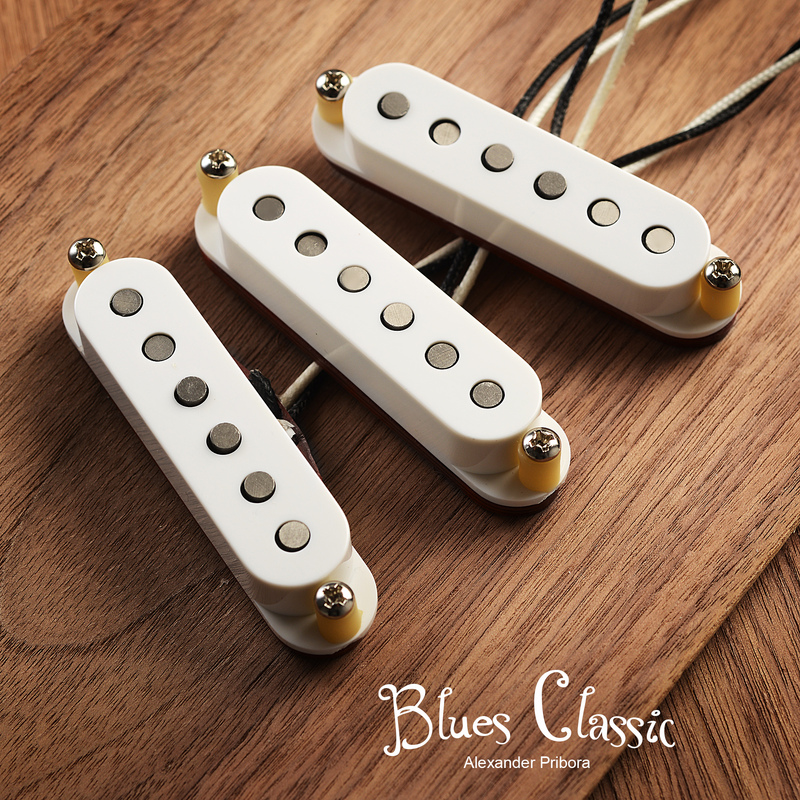 I’ve decided to change stock pickups in my recently bought japanese Squier SST-30 (E-serial, 1986) and Blues Classic was my choice due to very close specs of this set to pickups of SRV. I was blown away by the crisp and clear sound of my newly reborn strat. Alnico V magnets are very powerfull, so I had to lower upper side of all 3 pickups to avoid stratitis worble on thick strings. Not a problem at all. Amazing sound, great build quality and pleasent price. Thank you Alexander for wonderful work. All the best! Покупал для замены штатных на Fender standard Stratocaster (Mexico). Только нек и средний, так как в бридже хамбакер у меня. Звучки очень классные! Насыщенное звучание, красивые обертона… в общем всё по делу! Заново открыл для себя свою гитару. J’ai eu des “Red & White” , des “Hot Custom” les “Blues Classic” sont ceux que je préfère pour le son, mais ils sont tous excellents ! Merci et bravo Alexander : tu réssuscites nos guitares !!!!! I had DiMarzio on my strat about 7-8 years and i still like them. I heard about these pups on youtube. I have ordered Blues Set and i am so pleased fantastic quality and sound , and they work really well with my Toneshaper soldreless wiring system. They also sound fantastic wired as fat strat ,sounds like 50’s vintage Hmbucker. Simply Awesome. Wish you lots of succes. 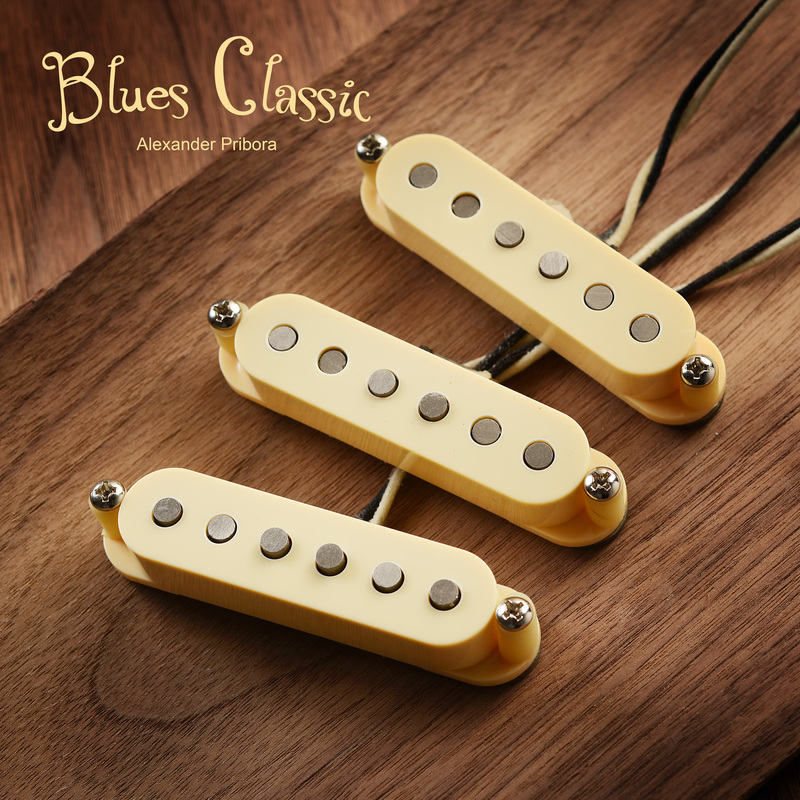 Hooked these Blues Classics up in my Strat build a couple of months ago but have been waiting to get through the honeymoon period with them to give a more balanced review. What can I say, these things sound awesome. Lovely chime at the bridge and perfect strat sounds for soloing at the neck or neck/middle position. These things are just great. As others have said, note clarity is just right on these pickups. You can hear all the notes when you strum a chord, no string is too prominent in the mix. Run the strat into a slightly overdriven amp and it just sings. I can’t praise these pickups enough. I also want to point out how helpful Alex has been throughout the purchase. Things took a bit longer than normal as I purchased them over Xmas but any questions I had were answered super fast by Alex and I was never made to feel like I was a nuisance. Top marks for product, sound and service. I hope other people see this review and realise how great these things are! 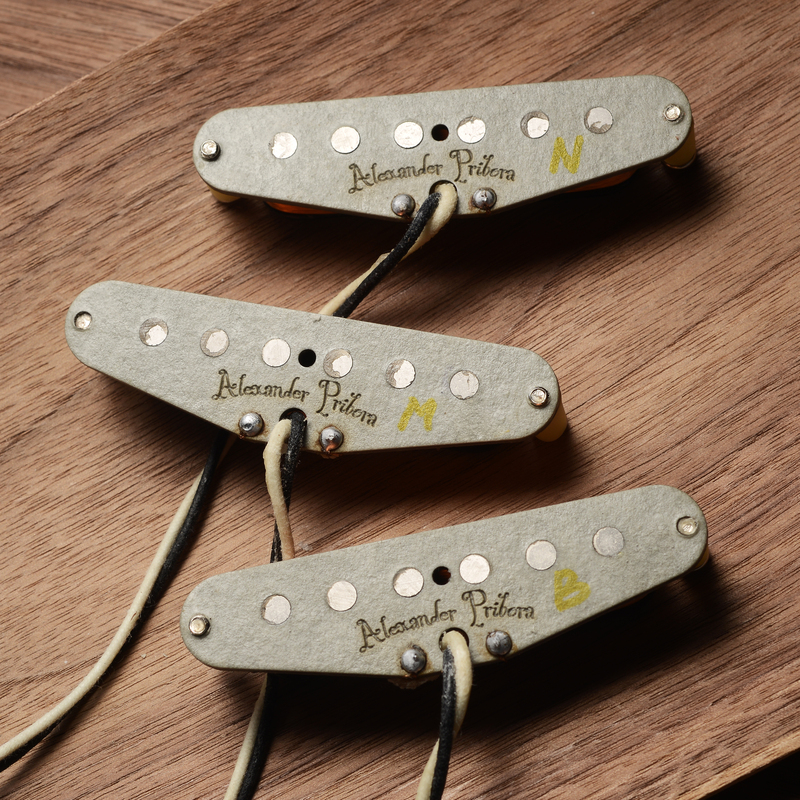 For my next build (which might be a tele this time) I’ll be coming back for the Priboras. I owe now two sets of Tele Pickups (blues classic) and 2 Strat Sets (Voodoo and blues classic), all four sound amazing and are incredibly well made. I highly recommend these sets to everyone!! I set it on the Alder body and Maple / Rosewood neck Strat. sound playing and having fun ! realy nice and high cost performance . Is there no plan to make P90 pickups? If after a Blues Jam session in London a guy comres to you and say: “hey thats a lot of strat”, it means that Alexander did a great job with these pickups. They have a SRV vibe that you will love!!!! !